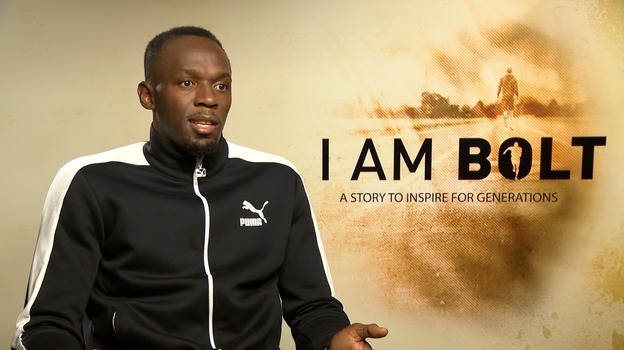 ​The Caribbean American Heritage Foundation of Texas (CAHFT) announces that I AM BOLT a documentary about the life of Jamaican Olympic athlete Usain Bolt, will headline its 2nd Annual Houston Caribbean Film Festival (HCFF). The Festival was conceived to observe and celebrate June, which was designated as National Caribbean American Heritage Month by President George W. Bush in 2006. An estimated ten Caribbean films will be screened during HCFF, taking place at The Midtown Arts and Theater Center Houston (MATCH) June 9-11, 2017. At press time, confirmed films from Barbados, Cuba, Guadeloupe, Jamaica, Saint Lucia will be screened. The Festival will feature several full-length films and several short film which are 2-20 minutes in duration. The Jamaican film, Diary of a Badman will also be screened. Other films scheduled to be screened includes: Barbados, H2O; Cuba, Tengo Talento ; Guadeloupe, Tourments d ’Amour ; and Saint Lucia, Who Are You? . Animated and several movie shorts will be featured at the HCFF in June. Films will be nominated and receive awards in several categories including: Best Foreign Language Film, Best Film Short, Best Animated Film, Best Documentary, Best Spoken Word. The HCFF is dedicated to embracing and promoting the rich Caribbean culture through the eye of the director’s lens. The mission is to promote, support, increase and heighten interest and awareness of Caribbean films, filmmakers, screen writers, producers and directors in the Caribbean basin and the Diaspora year-round, focusing particularly in June, National Caribbean American Heritage Month . For more information about the HCFF, their mission and a complete guide to the Festival’s films, visit their official website: www.houstoncaribbeanfilmfestival.org. This entry was posted in Sports and tagged Documentary, Usain Bolt by Maria Jackson Magazine. Bookmark the permalink.